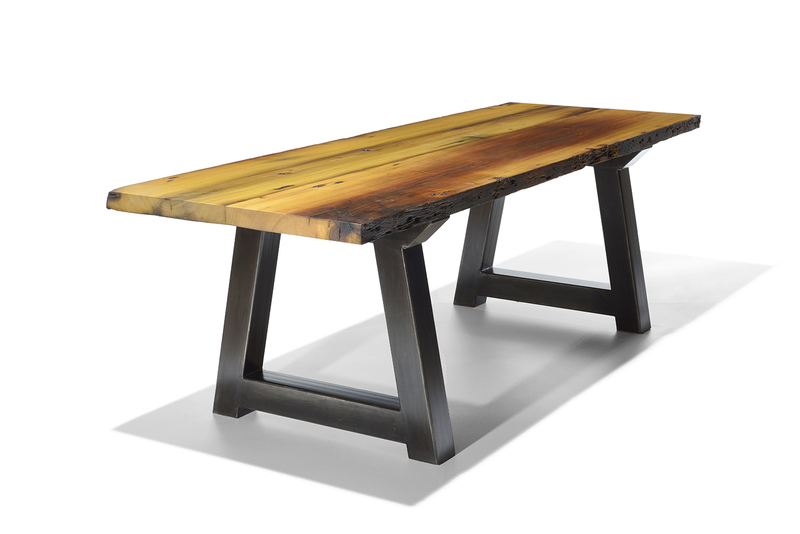 Shown here in locally reclaimed poplar with a blackened 4×4 steel tube A-frame base. Also available with wooden base. Customizable for any size or specie of wood.